· Provides cleaner startups with 90% to 100% less dust and brushing. · Significant reduction of mottling discoloration on all types of finishes. · Typically eliminates “hot startups” that exposes quartz and aggregates. · Strongly sequesters metal ions that stain surfaces and form calcium film. · More brilliant exposure of pigmented and pebble type finishes. · Advanced multi-sequestrate formulation . . . no phosphates or acids. 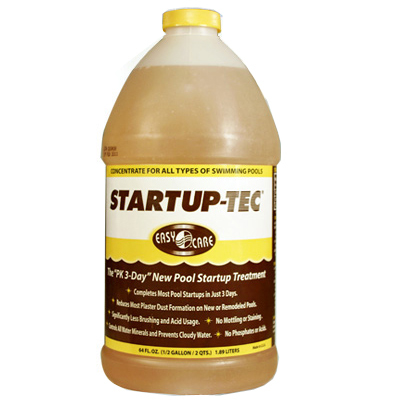 · Reduces warranty issues, lawsuits, and replastering of damaged pools.